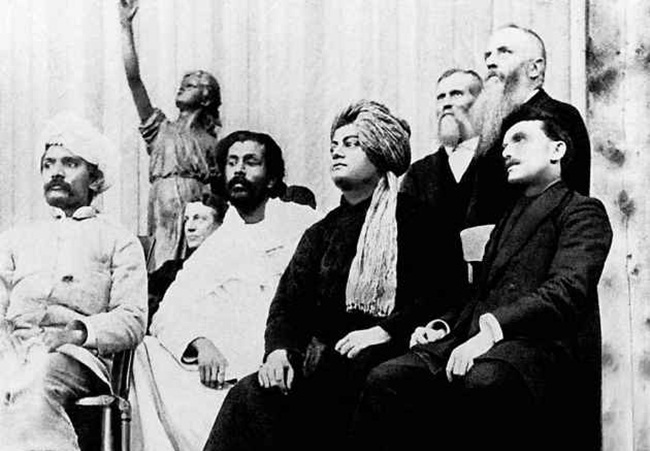 Swami Vivekananda?s historic Chicago speech at the Parliament of the World?s Religions in 1893 is still indelibly etched in the memory of Indians worldwide. The 2-minute standing ovation from a crowd of seven thousand spectators to Swamiji?s salutation, ?Sisters and brothers of America!? does still resonate with our emotional and rational being. His speech introducing Hinduism and India at the world?s first Parliament of Religions in Chicago does stand the test of time even after 125 years. No wonder why Indian Americans are gearing up to commemorate the 125 years of Swami Vivekananda?s Chicago address, at the World Hindu Congress 2018 in Lombard, Illinois on September 7, 8 and 9. The best of all Illinois Indian events in September 2018, the commemoration of Swami Vivekananda?s Chicago speech at the second World Hindu Congress will be attended by more than 250 thought leaders from all over the globe, including Sri Sri Ravi Shankar from India and the Tibetan leader Dalai Lama. Over 2000 Indians from America and other parts of the world are expected to turn up in the conference. The World Hindu Congress 2018 conference in Lombard, a superb of Chicago in Illinois will be graced by delegates from the countries with Hindu population, eminent Hindu leaders, renowned media personalities, and topnotch corporate bigwigs from India as well as the United States. Among the dignitaries is Mohan Bhagwat, the chief of RSS, who will deliver a keynote at the conference. Who will attend the event to commemorate the 125 years of Swami Vivekananda?s Chicago speech from the Ramakrishna Math and Mission, is not yet known. Considered ?the biggest gathering of Hindu leaders to date,? the World Hindu Congress 2018 will also be attended by Swami Swaroopananda, the head of the Chinmaya Mission, and Swami Brahmavihari Das who helms international relations at BAPS. The list of dignitaries from Hindu organizations in the world does also name Swami Purnatmananda from Bharat Sevashram Sangh; and Pranav Pandya from Gayatri Parivar. The theme of the World Hindu Congress 2018 in Lombard, Illinois is ?Sumantrite Suvikrante? meaning ?Think collectively, achieve valiantly.? The theme is aimed at millions of Indian Hindus worldwide. Headed by Swami Vigyananand, an Indian IIT graduate, the World Hindu Foundation is organizing the event. Post commemoration of Swami Vivekananda?s Chicago speech, the attendees including Indian Americans will engage in debates and discussions on some critical issues facing Indian Hindus the world over, in a bid to find out ways of making the global Hindu community a significant, prosperous, progressive and impactful one. The first edition of the World Hindu Congress was organized in New Delhi in 2014. The inaugural edition was attended by nearly 2000 dignitaries from more than 50 countries. The World Hindu Congress is a leading global platform for Hindus worldwide to connect with and inspire one another for their mutual benefits, growth and progress. Travel Beats is an Indian American community portal by Indian Eagle Travel, a leading air travel booking partner of Indians in the US. Subscribe to our free newsletter for latest community news, upcoming community events in US cities, US visa & immigration updates, latest air travel news, and special offers on flights to India from USA. The presence of the propagandist and terrorist outfit chief Bhagwat tarnishes the quality and image of this event.